July 20, Fineko/abc.az. 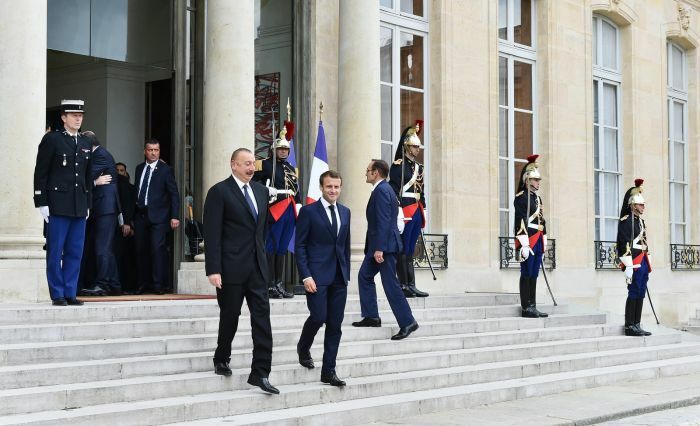 On July 20, Azerbaijani President Ilham Aliyev and French President Emmanuel Macron held a meeting at the Elysee Palace in Paris. A guard of honor was lined up in front of the Elysee Palace in honor of the Azerbaijani head of state. 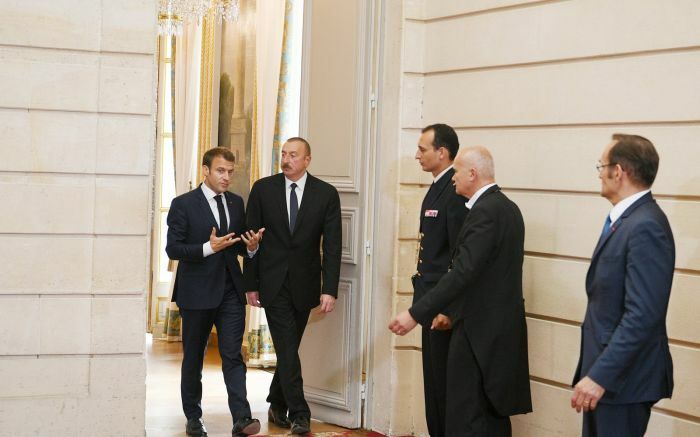 President Ilham Aliyev was met by his French counterpart Emmanuel Macron. 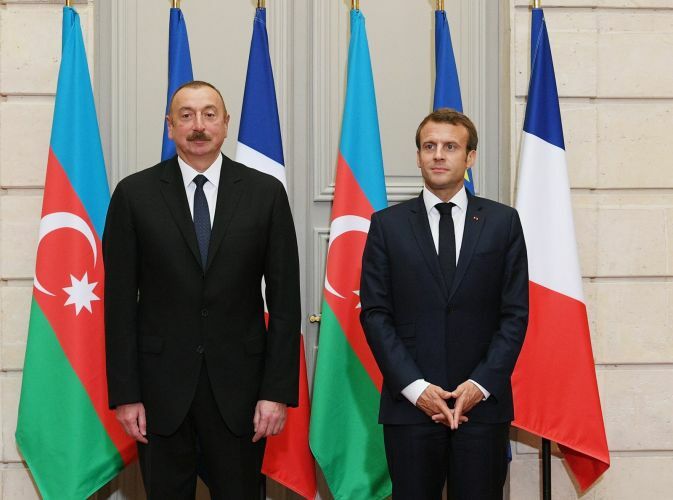 During the discussion the heads of state hailed the successful development of Azerbaijan-France relations in a number of areas, including politics, economy, energy, environment, transport, security and culture. 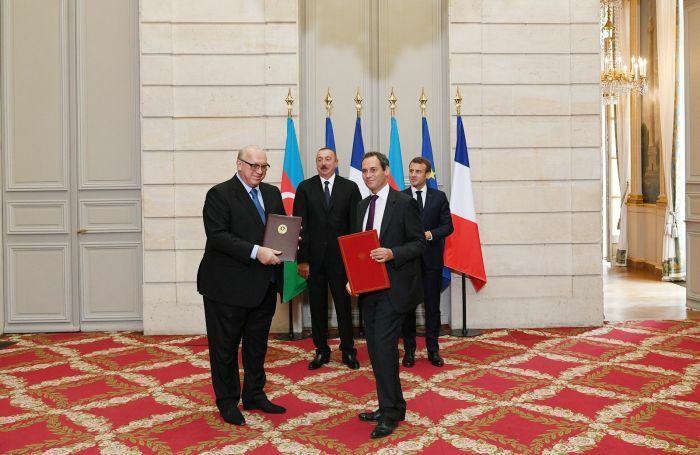 The activities of the French Lyceum and Azerbaijani-French University in Azerbaijan were praised. The presidents discussed Azerbaijan-European Union relations. 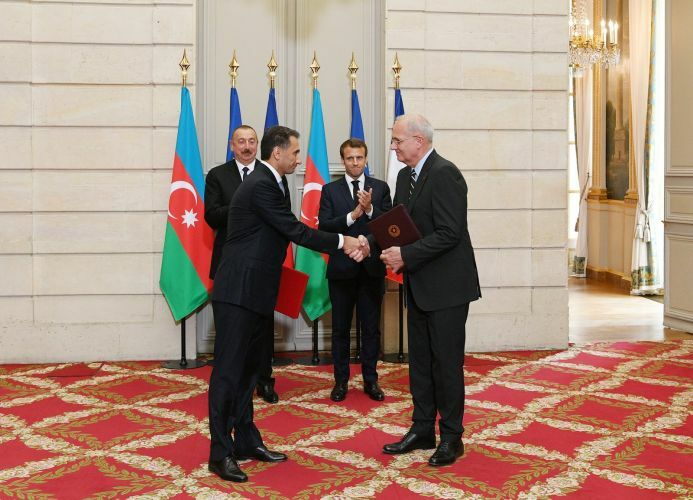 French companies` interest in expanding their activities in Azerbaijan was underlined during the meeting. 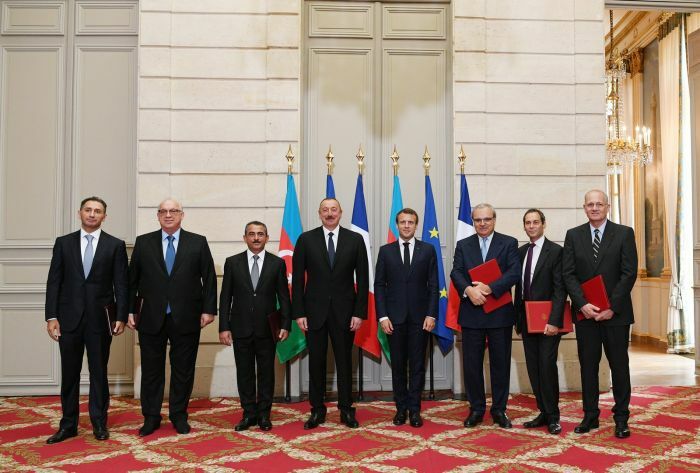 President Ilham Aliyev said fruitful meetings have been held with representatives of 11 French companies during this visit, adding that these meetings open up wide opportunities for economic cooperation between the two countries. 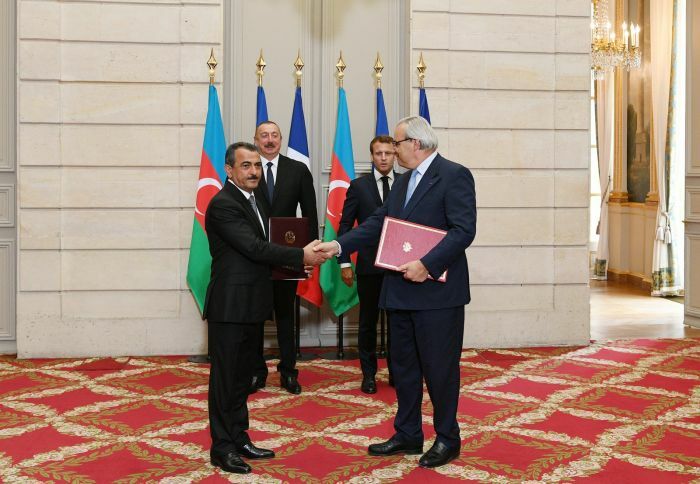 The President said the Azerbaijani and French companies have signed contracts worth more than two billion dollars. The realization of these contracts will increase their volume. Energy issues were also discussed, and the successful implementation of the Southern Gas Corridor project was stressed. The heads of state also exchanged views over cooperation in the oil and gas sector, infrastructure, transport, space industry, air transport, metro building and military-technical areas. 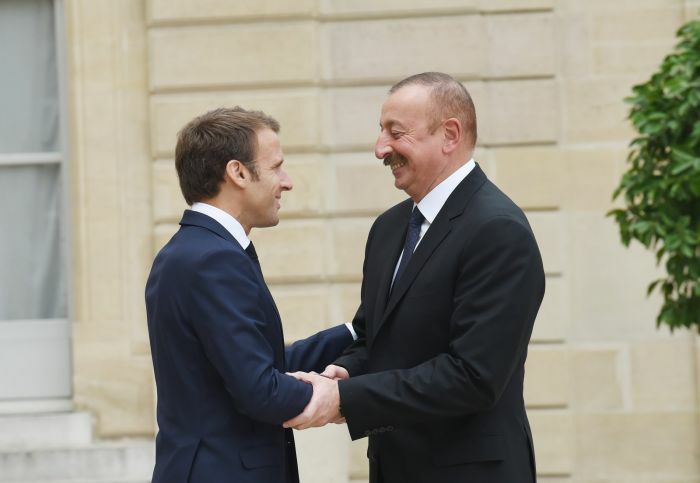 The Armenia-Azerbaijan Nagorno-Karabakh conflict was also discussed, and President Ilham Aliyev highlighted Azerbaijan`s position on the settlement of the dispute. The head of state expressed his hope that the President of France, which is a co-chair of the OSCE Minsk Group, will personally be actively involved in the conflict settlement. A ceremony of signing and exchanging documents then was held.